Unlocking your smartphone with your face is becoming a much-wanted feature as of late. With OnePlus offering one of the fastest solutions on the market, and Nokia and Huawei looking to follow suit, the feature is clearly in high demand. There are a few drawbacks, though, including security concerns and the fact that you can only add one face at a time, which is disappointing if you share a device with your family. That’s set to change, though, as the Qualcomm Snapdragon 845 supports face unlock for multiple saved faces at a time. This means that you will be able to add more than one face to your device’s face unlock feature and you can identify each face. They all unlock the device just as quickly so you don’t need to worry about adding too many. We assume there will be a limit on how many faces you can add, but that information isn’t available to us yet. 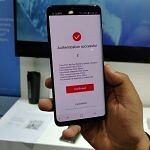 Technology blog Beebom first covered this news after speaking with a Qualcomm spokesperson at Mobile World Congress Shanghai, however, we reached out to Qualcomm ourselves and were told that only the Qualcomm Snapdragon 845 supports face unlock for multiple faces. We were told that none of the other chipsets mentioned in the Beebom report including the Snapdragon 636, Snapdragon 660, or Snapdragon 710 support the feature. We aren’t aware of whether devices from current OEMs take advantage of this technology yet. Even if they did, they would likely customize it heavily to give it their own flare. SenseTime, the Chinese AI company that is behind this facial recognition technology, already works with a number of device makers to tune their biometric facial recognition technology. Now that this technology is supported on the Snapdragon 845 platform, it’ll make it easier for device makers to integrate face unlock on their devices.